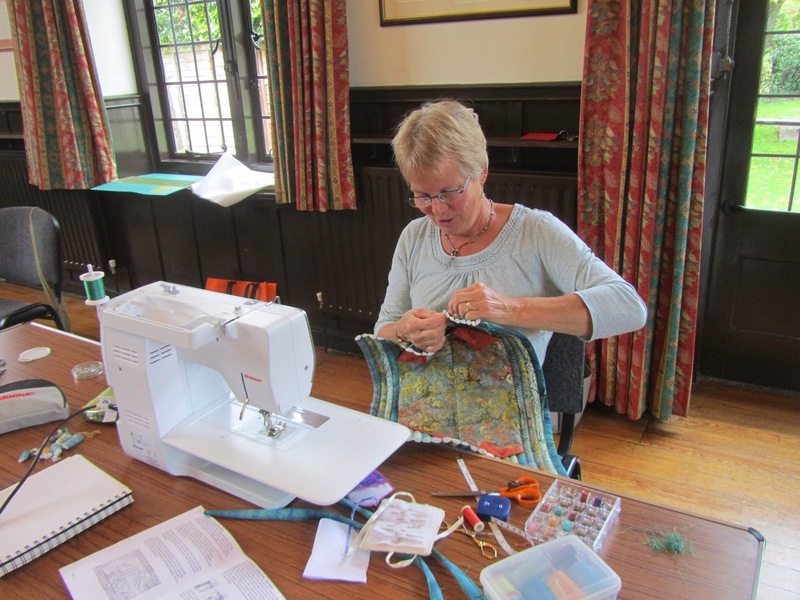 There was a lot of fun and laughter in Goodworth Clatford Village Hall when we met for an in-house workshop in September. Helen had provided the initial inspiration in the form of a 'tubed' bag and she gave us clear instructions and support throughout the day. 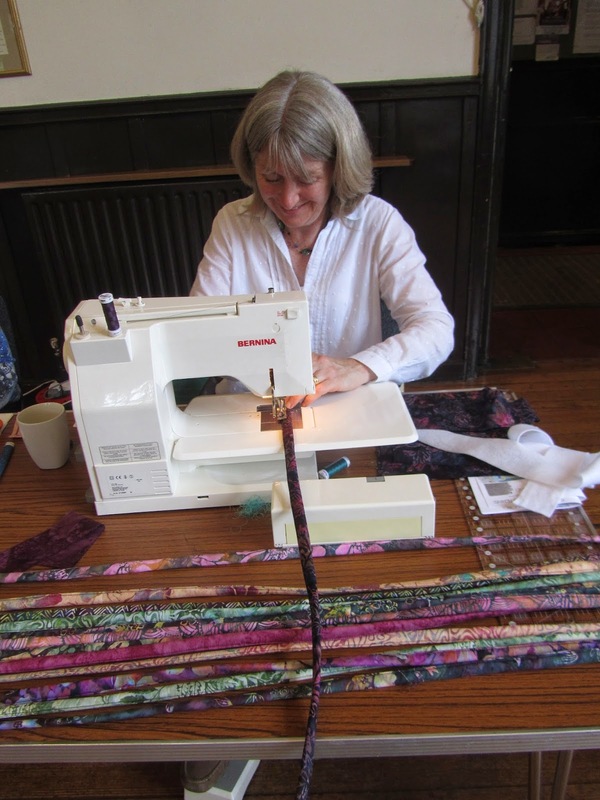 We all arrived with a wide range of different coloured strips of material and our prepared roll of wadding. Much of the morning was spent machining these together to form a soft padded tube piece of material. Step-by-step instructions, provided by Helen, then took us through the next stages to form a very attractive bag. The concentration by the group was so intense at one point that the room even descended into silence! 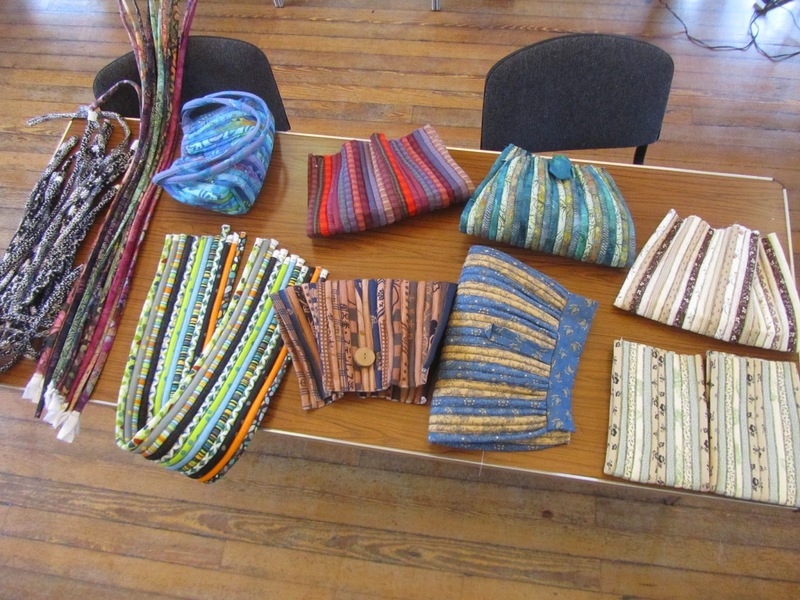 It was very interesting to see how the different colour schemes changed the look of the bag and we hope to see the finished articles at our next meeting. 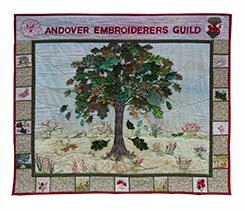 Some of them will also be on display in Andover Library's window from 6 - 11 October. Very many thanks to Helen for all her hard work and a great day!